Every year in October we celebrate BLACK HISTORY MONTH. Black history is with us every second, minute, hour, week, month and year. PANTHER NEWSLETTER’S CULTURE CORNER will attempt to enlighten you with what they never told you in your history class. Our story will be told right here – So enjoy the journey of clarification. From 1914 to 1918 the first substantial numbers of Afro Carribeans arrived in Britain to fight in World War I. In 1918, Walter Daniel Tull, a famous black footballer who became the first black man commissioned into the British Army in World War I, died on a battlefield in Favreuil, France in the second battle of the Somme, March – April 1918. From 1918 to 1939, public outcries mounted for immigrant restrictions, particularly in seaport towns where whites feared competition from black seamen during recessions and unemployment. Whites also voiced concerns over “inter-racial liaisons” and poverty. In 1919, race riots occurred in seaside towns. 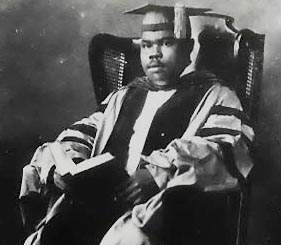 In 1922, the African Churches Mission was founded by Nigerian Pastor G.D. Ekarte in Liverpool, and was formally opened in 1931 for unemployed and “stranded” African seamen. A London branch was created in 1942. IMHOTEP – Master pyramid builder and world’s first multi-genius. HANNIBAL – One of the greatest soldiers and military genius in history. BEETHOVEN – One of the world’s greatest composers in music. ST. MAURICE – The Black Patron Saint of Germany. ALEXANDER DUMAS – Author of The Three Musketeers. TERENTIUS AFER – Greatest of the Latin stylists. IBN-SAUD – King of Saudi Arabia and Leader of Islam (1880 – 1953). LOKMAN – First great Fabulist and Wisest Man of the Ancient East. HATSHEPSUT – The ablest queen of far antiquity. Nubian Queen Amanitore (1 AD – 20 AD) – Queen Amanitore and Pharaoh Natakamani were the last great builders in Kush. They lived somewhere around 1 AD to 20 AD. Their buildings were raised in Keraba, an area between the Nile and the Atbara Rivers. Besides, they built in Naqa. In this city, the Temple of Apedemak, one of their best known monuments, is in a good state of preservation. Naqa also contains a famous Kiosk. This temple mixes architectural motifs from Nile Valley, Roman and Greek influences. The royal palace of Natakamani and Queen Amanitore was in Gebel Barkal. Finally, they dug reservoirs around Meroë, restored its huge Temple of Amen, and rebuilt the Amen. Temple of Napata previously destroyed by the Romans. Queen Nyabingi – The legend of Queen Nyabingi began with an amazon queen named Kitami, who possessed a sacred drum. Later generations revered her as a powerful ancestor (emandua) and she spoke through priestesses called Bagirwa. Most of them were were traditional healers, chosen by Nyabingi as her prophets. Wearing barkcloth veils, they entered paranormal states with “stylized trembling movements” and prophesied in arcane language, with high-pitched voices, holding dialogues with Nyabingi and speaking in her name. Rain Queens of the Lovedu – Dzugudini, a grand-daughter of “the famous ruler Monomatapa,” was the founding Rain Queen of the Lovedu. Her royal father was angry that she bore a child out of wedlock. Oral tradition says her mother taught her the art of rain-making and gave her rain charms and sacred beads. Then she fled south with some supporters. They settled peacefully among the Sotho. In the early 1800s, a leadership crisis was resolved by accession of the first Mujaji, a Rain Queen with both political and ceremonial power. Chiefs presented her with wives. She had no military, but even the Zulu king Shaka paid her tribute because of her rain power. Her successors have less authority, but still preside over womanhood initiations and other important rituals. 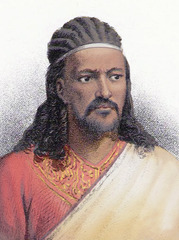 Tewodros II (Baptized Theodore II – 1818 – April 13, 1868) was crowned the Emperor of Ethiopia in 1855 until his death. He was born Kassa Haile Giorgis, but was more regularly referred to as Kassa Hailu ( Ge’ez ካሳ ኃይሉ — meaning “restitution” and “His [or the] power”). His rule is often placed as the beginning of modern Ethiopia, ending the decentralized Zemene Mesafint (Era of the Princes). In his efforts to keep skilled Europeans in Ethiopia, Tewodros arranged a marriage between one of his daughters and a Swiss military engineer. That branch of Tewodros’s family ended up in Russia; as a consequence, the late British actor Peter Ustinov could claim to be Tewodros’s great-great-grandson. He resisted the British invaders by taking his life in defence of his freedom, dignity and sovereignty of his country. Prince Alamayu (1861 – 1879) – Dejatch Alamayu was the orphaned son of Theodore II of Abyssinia (Ethiopia). At the age of ten he was sent to boarding school in Britain to be educated as a young English gentleman. Some seven years later he died. “It was so sad,” recorded Queen Victoria; “All alone in a strange country…he was no happy life, full of difficulties of every kind, and he was so sensitive, thinking that people stared at him because of his colour. 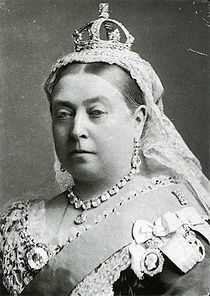 Everyone is very sorry.” At Queen Victoria’s wish, Alamayu was buried in St George’s Chapel Windsor. Alessandro dei Medici (July 22, 1510 – January 6, 1537) known as “The Moor” became the first Duke of Florence. His mother was black and had been in the service of the Pope’s aunt, the wife of a mule-driver; but Pope Clement VII, then Cardinal dei Medici, took her as his mistress, and was the father of Alessandro. All the writers of his time stated that Alessandro was a mulatto and his African features were vividly depicted by the paintings of Bronsini and Vasari. 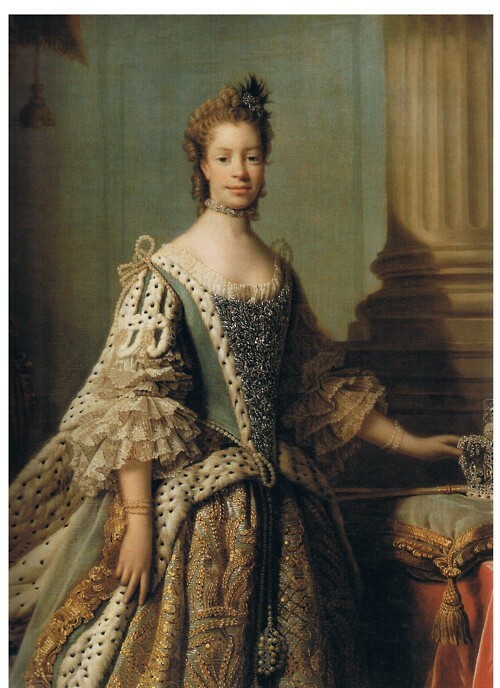 His ancestor was a black woman of British Royalty, Queen Charlotte Sophia, consort of King George III. Queen Charlotte Sophia was the grandmother of Queen Victoria. Here ends your history lesson for this month. This entry was posted on June 30, 2011 at 8:00 am and is filed under Articles, Black British Literature, Black History, News, Newsletter with tags Articles, Black British Literature, Black History, News, Newsletter. You can follow any responses to this entry through the RSS 2.0 feed. You can leave a response, or trackback from your own site. Black History Month is obviously celebrated in different months in different countries. 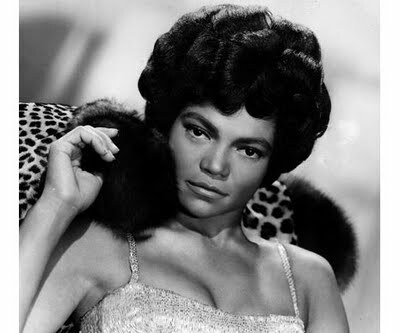 As February is the month Black History is celebrated in the United States of America. Thank you for the history lesson.